Man do I have an exciting new curriculum to tell you about today! 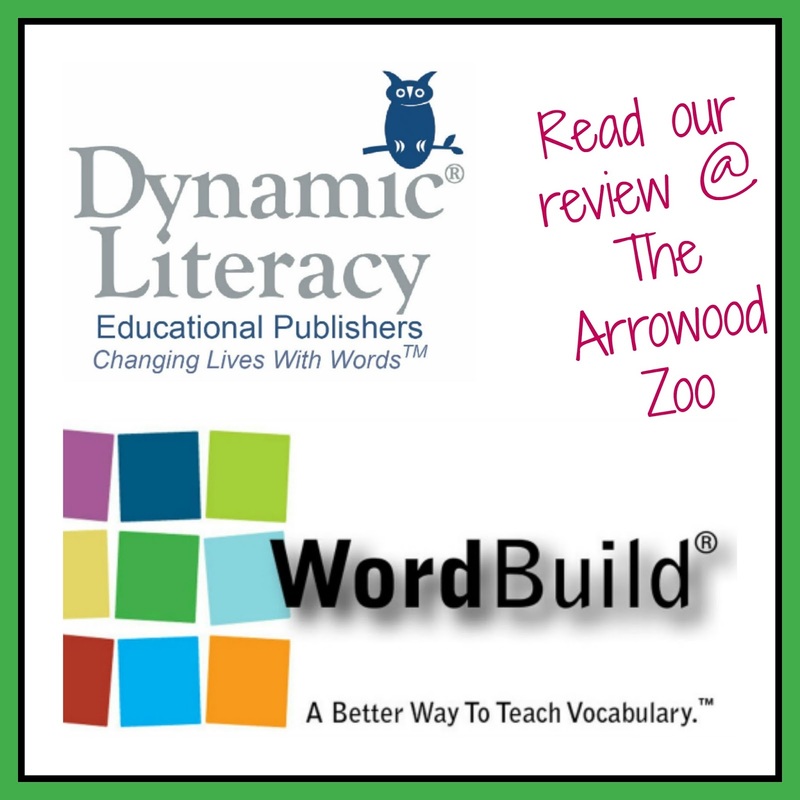 I have been reviewing a Vocabulary curriculum from Dynamic Literacy. We all know how difficult teaching the English language is, don't we? 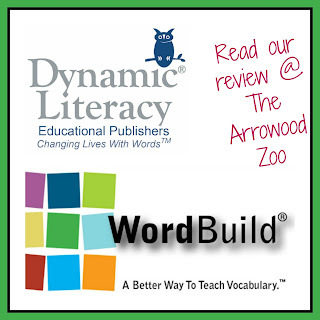 Dynamic Literacy, is an educational publisher that started in 2002. They strive to improve vocabulary, language and reading comprehension. 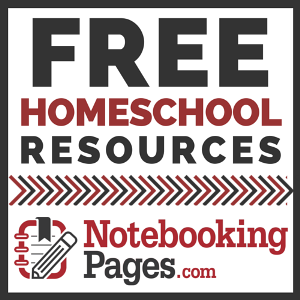 Their system was created to help children and parents understand the frequently used Greek and Latin roots in our very complicated English language. I was sent the Elements Level 1 Deluxe Edition, which retails for $99.99. 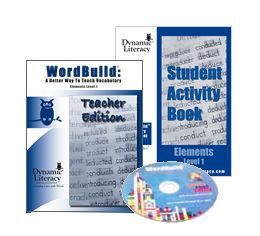 The set contains the teacher edition, student notebook and the WordBuild Game. My daughter is using this and she is entering her 7th grade year, she is 11. This book is recommended for use with grade ranges 6th - 10. Before receiving this review I made sure she fit the recommendation for Elements because the child needs to have mastered phonics and have a good knowledge of suffix and prefixes. For starters I had to read within the teacher edition to understand the way to teach and how to use the program. I appreciated that the directions where really laid out for me step by step. I've never really taught this way or topic so I was a little scared at first. The teacher book is a very large book so that kind of freaked me out too! To be honest at first the teacher edition was a little confusing to me because everything is in separate boxes and I guess it just being new (me being intimidated) gave me trouble but over time it has become easier. I love how each lesson has a little clock at the top of each lesson telling you how long it should take. Normally we spent about 15-20 minutes on each lesson. Most lessons are recommended to stop at 15 minutes however the Advanced Preparation lessons took less time each lesson ranging about 5 minutes each time. The teacher edition was extremely helpful in having everything laid out for what the student is responsible for too! I also have to say for the first time I think ever; I used the appendix in the back of the book! I checked the dictionary in the back of the book several times for different reasons and for help for Lexi. Each week we worked on one root, I am so glad that within the teacher book it gave guidance for adjusting to easier or more difficult activities because some lessons I needed the easier adaptation. There was also Advanced Preparation lessons that where very important to use. In the beginning of our learning there were several of these but once we got pass the ones in the beginning they are spread out nicely. These teach or review prefixes and or suffixes coming up. The Student Activity Book is simple and about a quarter of the size that the teacher book is! The student book has all the activities within it like a workbook. It is very cleanly laid out with no distractions. It is black and white print and gave her enough room for her writing. 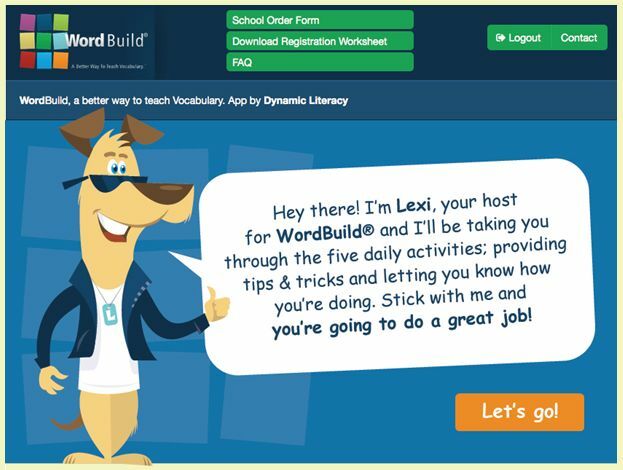 Now for the WordBuild Game! This was an exciting twist to learning because I have always taught my children with games. This was very simple to get started with we just simply inserted the disc into our computer and read a little about the settings and got started. I was shocked that the game had over 200 roots and makes over 18,000 words. I actually enjoyed this maybe more than Lexi, because she was so scared she was going to make words that wasn't actually words but it stops ya! 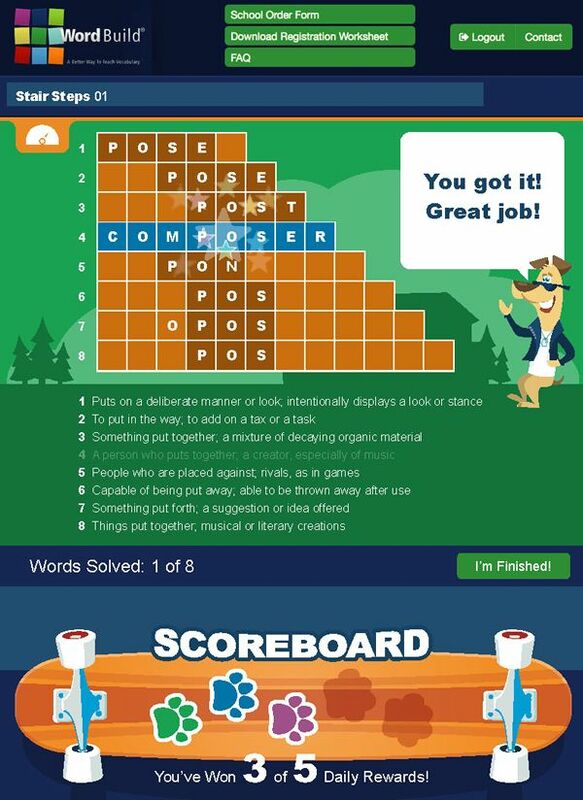 The game gives you the ability to use morphemes learned and create words. You can actually check to see if it is a real word, if it is it will tell you what the definition is and you get points when it is. You also can play around with word families. We enjoyed changing up the background music too, neat feature! She also loved that the character that takes you through the game has the same name! Overall I was scared when starting this review simply because it was new ground for me. I am happy to say with this program I have taught my daughter Latin and Greek roots successfully. All the components work together for a smooth learning experience. 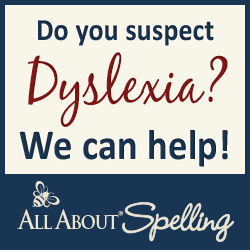 Find Dynamic Literacy on Facebook, Twitter and Pinterest.